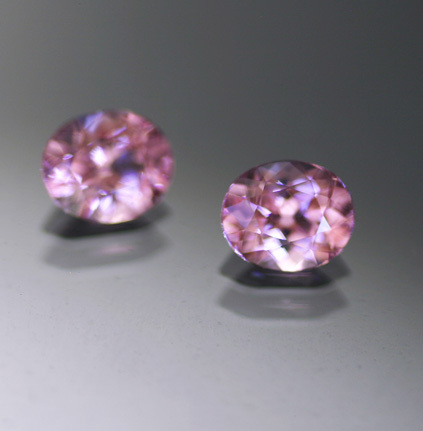 An outstanding pair of finely matched and bright Burmese pink Spinel. Completely clean and very nicely cut, the size here is wonderful - great as larger accent stones or for centers in smaller earrings. A brilliant pair with simply nothing to detract from them - competitively priced for the material and a fine unmodified color.